Platform: PlayStation 4 | Edition: Legacy Edition Item Weight: 150 g .. Platform:PlayStation 4 | Edition:Day One Edition .. Platform: PlayStation 4 | Edition: Standard Edition Item Weight: 150 g .. Product detailsPlatform: PlayStation 4 | Edition: Standard Item Wei.. Platform: PlayStation 4 | Edition: Standard US import region all ..
Based on international hit anime series, 'Attack on Titan'Platform: PlayStation 4.. Platform: PlayStation 4 | Edition: Standard Item Weight: 150 g .. Platform: PlayStation 4 | Edition: Region 2 - European Stock &nb.. Platform: PlayStation 4 | Edition: Game of the Year Release Date: 30 Aug. 2016 .. The redesigned characters from Dissidia Final Fantasy comes to you as Play Arts Kai figures! .. Imported from Japan. The worlds of Square Enix's best-selling Final Fantasy games collide i..
Hailing from the smash hit stealth action Hitman series comes the enigmatic legendary assassin&..
An assassin's assassin. The hero of Assassin's Creed comes to life as the newest release fr..
A Good Smile Company Japanese import From the hit anime series Figma f..
An import from Good Smile From the anime and manga series Smooth yet p..
A Japanese import From the hit anime series Includes three expressions.. Interchangeable hand and face parts Iconic weapon accessories Effect parts included wit..
From the Ubi-soft hit video game, Assassin's Creed, come the 7" Ezio action figure.. 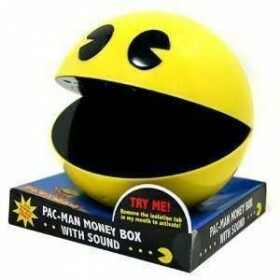 Cool pac-ma icon for your pocket or bag. Relive 1980 with this brilliant keyring and ..
Making its debut in 1980, the popular video game is one of only three on display at the Smithsonia.. The Duke has over 20 points of articulation, stands approximately 7" tall and brings his tr..
Made by NECA in 2010 Size: 7.3 inch For ages 17+..
From the third installment of the hit historical action-adventure video game series: Assass..